It was often referred to as the "Forgotten Army" because its operations in the Burma Campaign were overlooked by the contemporary press, and remained more obscure than those of the corresponding formations in Europe for long after the war. 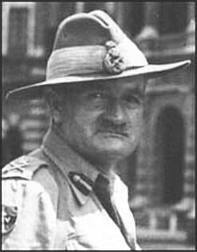 For most of the Army's existence, it was commanded by Lieutenant General William Slim. The Fourteenth Army was the Second World War's largest Commonwealth Army, with nearly a million men by late 1944. Also serving with the 14th Army were a range of army, corps and divisional units not organic to the combat divisions.